Hailing from Southern California, Tom Ricci is a driven, passionate and charismatic songwriter with a unique approach to his work. His music is a balanced blend of rock and roll energy and deep singer-songwriter lyricism, in the vein of artists the likes of The Replacements, Tom Petty or Neil Young, just to mention a few. The story so far… the album is loosely based on my teenage years growing up in a dysfunctional family; the different interactions, eventual breakup of my parents and family dissolution… though I’m not really sure want to go there, since the overall message I’m trying to share is a positive one, one of optimism, motivation, from a survivor’s point of view. The album’s message is that isolation, blaming others, turning to drugs (all forms of escape), aren’t the real solution, that the only "real escape" to our problems is going out there into the world, and changing our destiny. 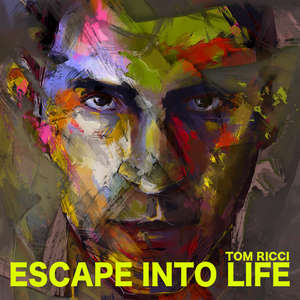 His new album, "Escape into life" is all about great melodies, uncompromising rock and roll vibes and thought-provoking lyrics that add thickness and dimension to every track. From Earth-shattering rockers the likes of "Gave It All To You" to mellow and introspective tunes in the vein of "Don’t Give Up On Yourself", Tom set out to craft a diverse and accomplished record that will please rock fans of all backgrounds, from discerning underground rockers to alternative rock fiends. Tom will be performing live with his trusted band, NerveBloc, in support of the album.